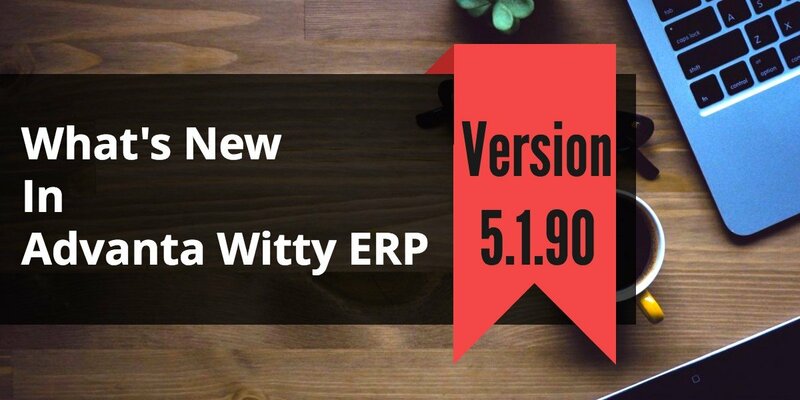 We are releasing the new version of Inventory Control Software Advanta Witty ERP Update 5.2.19. We have improved the inventory management, VAT reports, accounting reporting, and TDS module. Along with it, we have fixed some known bugs. Re-designed data entry of Inventory Vouchers. Now the speed of saving Sales, Purchase, and other transactions has been increased by almost four times. Improved ‘Stock Status’ Report. Added an Option to show or hide the closing value. The speed of opening this report has been increased considerably. Improved Excel Export system of all reports. Now you can edit the contents of any excel sheet cell, and perform the calculation on cells easily. Improved ‘Pending ST Form’ Report. Added option to show this reporting quarter wise. Improved ‘Issued/Received ST Form’ Report. Added option to show this reporting quarter wise. Added new utility to print address labels of ledgers. Improved Standard Invoice Printing. Now both full page and slip invoice formats are available. Added Service Invoice option in sales and purchase category in masters. This option can be used to enter service invoices without applying VAT. These invoices do not show up in any VAT report. Improved ‘VAT Summary’ Report. Added option to show/hide Not-Taxable tax class. Added support to store Name of Authorized Person, Designation, Place, Business Style at Easy Wizard. These details will be automatically printed in all VAT reports. Improved Tamil Nadu VAT as per new Tax Class System. Improved Chandigarh VAT 18 report. Now you can show report based on any required CST Rate. Improved Punjab VAT 18 report. Now you can show report based on any required CST Rate. Improved ‘Day Book’, ‘Ledger’ according to new Tax Class System. Now all tax details will be reflected correctly in these reports. Improved Reports of Fertilizers/Seed/Pesticide Business. Now All Reports Reflect Data according to Stock Update Date instead of Voucher Date. Improved ‘Complete Sale Report’, ‘Complete Purchase Report’, ‘Complete Sale Return Report’, ‘Complete Purchase Return Report’ according to Tax Class System. Added Option of Series in Quick Receipt and Quick Payment windows. Improved Feature of Sale Price Structure and Purchase Price Structure. Improve the Recycle Bin. Now recycle-bin will open much faster than before. Added facility to prepare VAT reports of Basic Edition data from a Power edition of Advanta Witty. Now tax professionals can prepare VAT reports of their clients having Basic edition of Advanta Witty. Improved Ageing Analysis Report. Now Ledger Group wise Search is available. Improved Multiple Company Reports. Now Merged Balance Sheet, Merged Trial Balance, and Merged Stock Status are available. Improved Haryana VAT R1. Improved Feature of Carry Forward and Brought Forward Tax. Added Tax-Free Tax Class in Chandigarh VAT. Updated VAT Form 15, VAT Form 17, VAT Form 23 and VAT Form 24 to show Tax Free amount. Added Option in Invoice Settings to Use Group wise Items in Inventory Vouchers. We are sure you find these updates useful. Please give your feedback – positive or negative, in comments here. 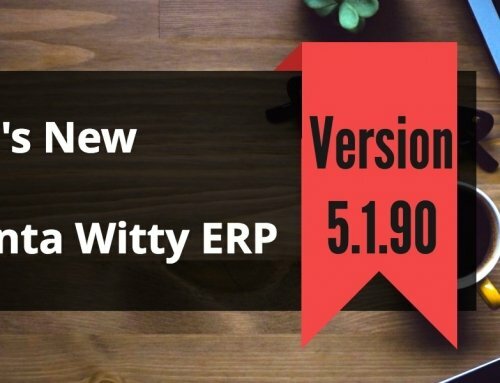 We would love to hear from you about our Inventory Control Software Advanta Witty ERP Update 5.2.19.